** DESMOND DEKKER GET UP ADINA THIS WOMAN BACK2BACK BEVERLEYS SKA MONSTERS!! 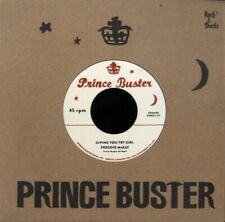 New listing ** FREDDIE McKAY GIVING YOU A TRY GIRL RED EYE GIRL PRINCE BUSTER ROCKSTEADY! ** THE MAYTALS SCARE HIM SWEET AND DANDY BACK 2BACK BOSS REGGAE CLASSICS!! 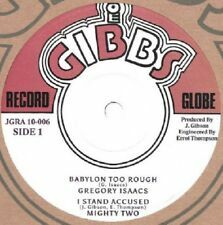 New listing ** GREGORY ISAACS BABYLON TOO ROUGH JUNIOR BYLES HEART AND SOUL 10in ROOTS!! 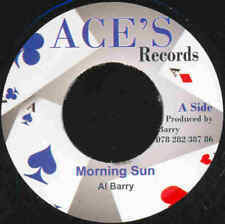 ** AL BARRY MORNING SUN + IM NOT A KING 1st TIME ON VINYL BOSS REGGAE SELECTION! ** THE TEMPTATIONS THE GIRLS ALRIGHT WITH ME BIG MOTOWN MOD SCOOTERIST ANTHEM! ** FREDDIE McGREGOR MIGHTY KING LITTLE ANGEL BACK2BACK BUNNY LEE PROD REVIVE! New listing ** PARAGONS ON THE BEACH TOMMY McCOOK THEME FROM THE SANDPIPER TREASURE ISLE!! ** THE WAILERS CAUTION STOP THE TRAIN BACK TO BACK LESLIE KONG PROD CLASSICS! ** BOB MARLEY JUDGE NOT DO YOU STILL LOVE ME BEVERLEYS SKA CLASSIC!! ** BEVERLEYS ALL STARS DOUBLE SHOT BIG BOSS LONG SHOT KICK THE BUCKET INST!! New listing ** JAMAIEL SHABAKA I AM THAT I AM 12in HEAVY 80s US ROOTS REGGAE SELECTION!! ** HORACE ANDY MONEY ERROL DUNKLEY LITTLE WAY DIFFERENT 12in CULTURAL WARRIORS! New listing ** JUNIOR DELGADO DEB MUSIC SHOWCASE Vol2 12inch 5TRACK VINTAGE ROOTS THRILLER! New listing ** PRINCE BUSTER ALL MY LOVING HUGE IN DEMAND CLASSIC ROCKSTEADY SELECTION!! ** VAR ART STUDIO ONE LOVERS ROCK 2LP SWEETEST LATE 60s & 1970s SELECTIONS!! ** FRANKIE JONES NATTY DREAD LOCKS CONTROL CULTURAL ROOTS MR BOSS MAN CUT!! ** VAR ART STUDIO ONE FREEDOM SOUNDS STUDIO ONE IN THE 1960s 2LP CLASSICS!! ** KING COOPER HORNSMAN COYOTE MEDITATION 12inch DEEP DARK NU ROOTS HORNS!! New listing ** DESI ROOTS HE AINT COMING 12inch HEAVYWEIGHT ROOTS REVIVE + DUBPLATE DUB!! New listing ** DESI ROOTS NATURE BOY 12inch BIG REVIVE SELECTION FIRST TIME SINGLE ISSUE! New listing ** JAMAIEL SHABAKA ARMAGEDDON 10in HEAVY 80s US ROOTS REGGAE SELECTION!! ** SOUL TWINS POUND GET A BLOW + ROLAND ALPHONSO & UPSETTERS NEXT CUT BOSS!! ** DERRICK MORGAN HOLD YOU JACK LESTER STERLING BANGARANG BOSS CLASSICS!! ** KING KONG & LONE RANGER SOME PEOPLE SAY 12in SYLVAN WHITE COME NOW AFRICANS! ** LEBA with SLY & ROBBIE & THE TAXI GANG NATTY DREAD 12inch 4 CUTS NU ROOTS! ** VARIOUS ARTISTS THE BEST OF SIOUX Vol1 CD BOSS REGGAE THRILLERS!! ** UNIQUES IM A FOOL FOR YOU LESTER STERLING SUPER SPECIAL TOP ROCKSTEADY!! ** DENNIS BROWN - THREE MEALS A DAY A CUP OF TEA 12inch ROOTS ANTHEMS + DUBS! ** SINGER BLUE TRUE BORN RASTAMAN 10in FOUR CUTS TUF NU UK ROOTS STEPPER!! This page was last updated: 18-Apr 12:01. Number of bids and bid amounts may be slightly out of date. See each listing for international postage options and costs.